Focused features for real results. Smartmessages offers a complete service, designed, built and supported by us. We take care of the technology so you don’t have to. Our powerful delivery systems ensure your messages get through quickly, efficiently and reliably. We want to make sure you're happy and getting the results you want, so we provide multiple channels of support to get you on the right track. Get to know your audience with comprehensive, good-looking, easy-to-read reports on all aspects of your mailshots. Branding consistency is vital in building customer confidence, so we provide features to make sure your customers' interactions with us look like you, not us. From simple web form processors to complete control via our API, streamline and automate the integration of your systems with ours. One Click HTML template uploads from other software. Intelligent List upload retaining consent information. Putting your customers first is not just a good idea - it's the law! It's a complicated area, but we help make sure you stay on the right side and that all your legal obligations are fulfilled. Manage a single, consistent view of your contacts across unlimited mailing lists, with simple upload and download of all your precious data. We have a huge selection of template tools to get your emails looking just how you want them, and checkers to ensure your subscribers see them that way. 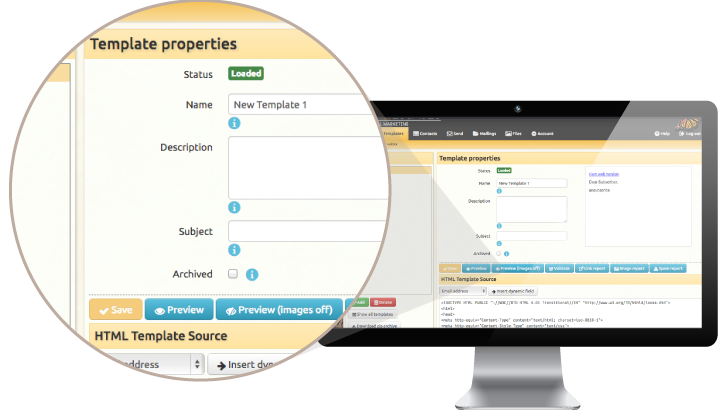 All your planning, design, content and list building comes together in our simple yet capable mailshot builder. We want to make sure you’re happy and getting the results you want, so we provide multiple channels of support to get you on the right track. Our user guide provides a complete tour of all our features. Download the latest PDF. You can find all kinds of technical detail on our help pages. The most effective way to get to us is (no surprise!) to email us at support@smartmessages.net. Detailed stats and feedback about the quality of your list including bounce rates, spam reports and unsubscribes. The sharp end of email marketing – The full inside story of what your customers made of your message, incuding opens, clicks and ready-to-call hot lists for your sales staff. Download printable PDF and well-structured Excel spreadsheets to share in meetings and help you plan your next move. Branding consistency is vital in building customer confidence, so we provide features to make sure your customers’ interactions with us look like you, not us. Our public-facing pages (such as subscribe and unsubscribe) can make use of your own branding, colours, logos etc, even across multiple languages. Our standard email templates can automatically make use of your branding settings too, saving you the trouble of making your own templates. Your logo and name are used on all system notification emails that your customers may receive, such as double-opt-in confirmations and unsubscribes. From simple web form processors to complete control via our API, streamline and automate the integration of your systems with ours. One Click HTML template uploads from other software. Intelligent List upload retaining consent information. Our standard subscribe and unsubscribe pages can act also as transparent processors for your own forms, just like the one on the home page of this site. Callbacks (also known as web hooks) provide real-time sync from our system to yours with less complexity than the full API. Our public API lets you take full remote control of Smartmessages from any programming language you like. You’ll find a PHP client library on GitHub, and docs on our help pages. Putting your customers first is not just a good idea – it’s the law! It’s a complicated area, but we help make sure you stay on the right side and that all your legal obligations are fulfilled. Smartmessages is designed to work in a way that makes it hard for you to do the wrong thing, so we can help you stay compliant with UK and EU data protection laws by default. You’ll find double-opt-in, reliable unsubscribes, data-access request handling and audit trails as standard. Many email marketing services are based in the US, and so don’t comply with EU data protection laws. It’s not a problem for us as we’re UK-based. Our dedicated, redundant, high-performance cluster is hosted in a high-security facility in London Docklands. We’ve had over 99% uptime for more than 10 years.